Photo: Ministry on the streets of San Francisco. At first, there was San Francisco First Church of God, founded in 1906. That wasn’t enough. Pastor Mike and Ann wanted to do more, and more needed to be done. They began hosting groups for short-term mission work in their home and at the church. 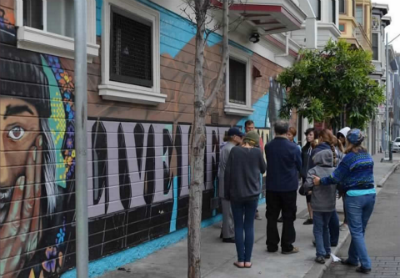 Providing necessary services for the church’s outreach, and offering groups of youth and adults the chance to experience urban missions, the San Francisco Mission Outpost brought the church to its present location in the heart of the city. Offering a third service to the community, the church began investing in the children of the community through Crossroads Ministries. Now the Church of God in San Francisco is one, but one in three transformative expressions. “We had to think outside of the box,” Mike explains. “The people that attend our church are the last and the lost and the least. And you really can’t depend on a tithing base. It’s a loaves-and-fishes experience, but God has provided, even when it seemed impossible to move forward.” The mission was launched as an outpost—intentionally named as a halted command to protect against advances of the enemy. Since the first group came in 2000, this outpost has not only served to protect against the dark forces of evil, but also to go a step further and take back what hell has stolen. Perhaps that’s why they’re so driven to leave the ninety-nine for the one lost sheep. Photo: Food for body and soul offered at the soup kitchen. Mike tells of one who was struggling with drug abuse to the brink of death. This “walking zombie,” as Mike described him, has now been completely clean and sober for two years. Now he’s serving on the board! So is one who was involved in the gay lifestyle. 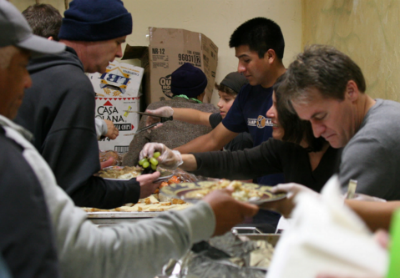 Anderson University and Warner Pacific College, as well as student ministries groups and adult groups have experienced urban ministry in San Francisco through Church of God Outpost. 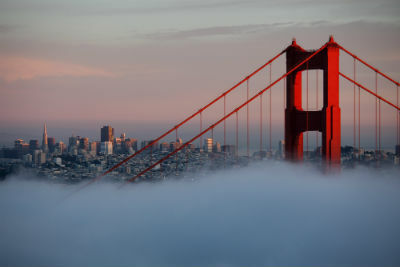 For more information on how you can schedule such an experience, visit www.sfmo.org. This entry was posted in All Church of God, Western and tagged Ann Moberg, California, Church of God Outpost, Mike Moberg, San Francisco, urban ministry. Bookmark the permalink.